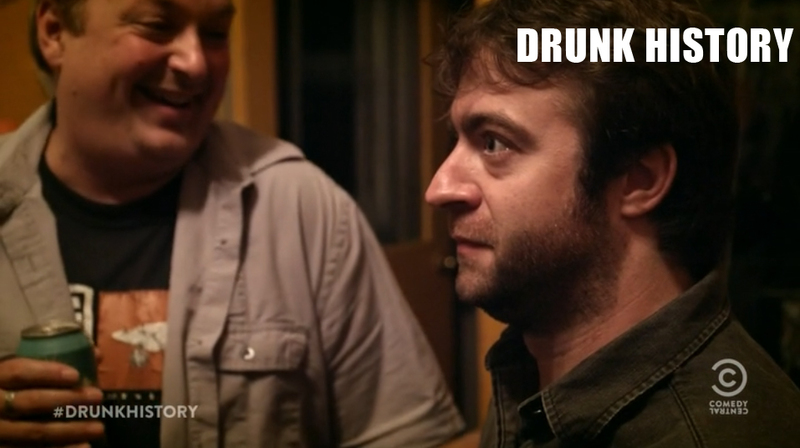 It was really freaking fun to be on Comedy Central’s Drunk History!! They actually filmed our segment in my apartment. I helped produce the segment we were at part of, meaining I invited 20 of my funniest friends and bought a lot of booze. Last March I got a call from one of the producers of the show. Apparently they were here for SF Sketchfest and saw me perform with my sketch comedy group Killing My Lobster and came to my show The Romane Event. 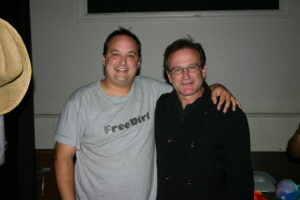 Apparently they thought I knew a lot of comedians and could probably assemlbe them. And they were right! The week before the taping the producer showed up with 20 cases of sponsored beer! It seemed like he and the PA’s never stopped running in and out of my apartment carrying cases of beer! I went to COSCO and bought a bunch of food and even more liquor. Most of the people that I invited also brought over liquor and even jello shots. These same jello shots made onto the air with me, my friend and the host of Drunk History trying them. When the San Francisco episode premiered we had a drunken viewing party ourselves and I haven’t laughed that hard in a long time! I also did an interview with The Kalamazoo Gazette about my experience. The parts I can remember. 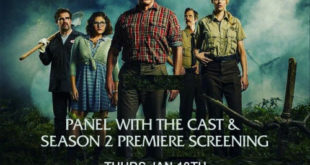 Videos from the Drunk History – San Francisco viewing party!